Popular Instagram model coated her Lamborghini Aventador with 2 millions of Swarovski crystals. A Russian model, Diana Radionova has stooped London in its track by covering her V12-powered black Lamborghini Aventador (£270,000) with 2 million Swarovski crystals. Daria Radionova and her extravagantly decorated Lamborghini Aventador. Earlier this week, the model helped stop traffic with her matte black Aventador coated in the glistening crystals at a supercar parade through central London. While some in the crowd questioning her Swarovski crystals, she took an Instagram post suggesting they were all real and it really has two million crystals. The car was modified by CarsInCloaks, a London-based automotive customizer by more than 700 man hours who painstakingly apply the crystals by hand. 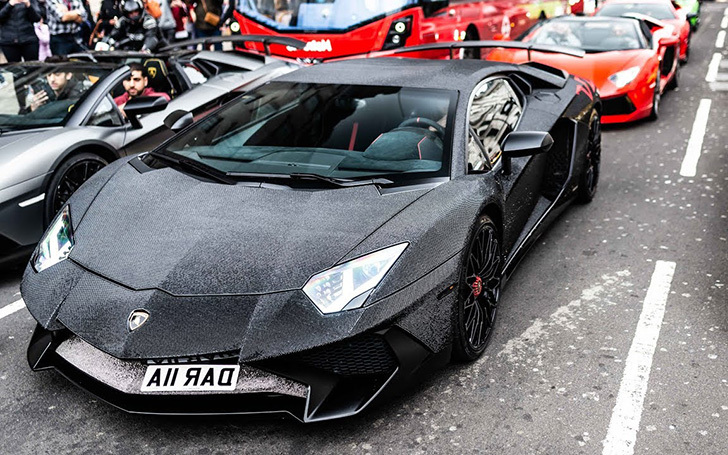 The customized number plate “DAR IIA” was capped off by the bold look on the now not-so matte Aventador. While most of the part of the car is covered in crystals, there are some areas left untouched like side air intakes and huge rear wing. The modification allows the 6.5-liter 730 hp V12 to breathe which propel the car to 60mph in just 2.8 seconds, while 120mph will come and go within 8.5 seconds. But, placing two million crystals will likely impact the performance figures as they could increase the weight of the cars and disrupt airflow over the car's bodywork. It's not the first time the model has bedazzled her luxury car in crystals. She has previously stuck crystals to a Lamborghini Huracan and a Mercedes CLS. But the Aventador tops those with the sheer number of crystals. However, not everyone was impressed with the over-the-top modification.